A systems snafu just cost T. Rowe Price nearly $200 million. The asset manager didn’t like the 2013 buyout of Dell by its founder and Silver Lake Partners, but mistakenly supported it. That meant it couldn’t benefit from a lawsuit that last week netted other objecting shareholders nearly 30 percent extra in proceeds. One factor was that T. Rowe Price defaults to supporting management. That raises a crucial question as big investors get less passive. T. Rowe Price is doing the right thing in compensating clients whose funds owned Dell shares. And while the hit is enough to sting, it’s affordable. The company, which has $765 billion in assets under management, reported $1.3 billion of cash at the end of March, and the $118 million post-tax cost of the payout is under 10 percent of net income in each of the past two financial years. The firm has also tightened up its processes so that such an unlikely, perhaps unprecedented, string of events can’t happen again. An instruction to oppose the Dell deal got lost as the date and official form of the shareholder vote changed. Because T. Rowe Price, like other asset managers, defaults to the recommendations of company bosses, it erroneously backed the transaction. Decades of growth in stock ownership through mutual funds like those run by T. Rowe Price have provoked concern about a so-called agency problem. The ultimate owners of shares – perhaps just a few dollars’ worth in each company in a retirement fund – aren’t motivated to take a close interest, and asset managers traditionally fall passively in line with company managers on pay, governance, mergers and the rest unless something egregious attracts the attention of proxy advisers like ISS. This is, however, changing. Larry Fink, chief executive of $4.6 trillion asset-management giant BlackRock, earlier this year spoke out against short-termism based on quarterly earnings and pressure for quick financial results. With long-term value in mind, BlackRock sided 39 percent of the time with activists critical of managers in 18 big U.S. proxy contests last year, Fink said. If T. Rowe Price’s blooper forces more fund firms to take active decisions about how to vote shares, it will have served a useful purpose. People check out computers at the Dell booth in Salt Lake City, Utah February 7, 2014. T. Rowe Price on June 6 said that it will pay up to approximately $194 million to compensate clients for a proxy voting error the firm made in connection with the 2013 leveraged buyout of Dell by founder Michael Dell and Silver Lake Partners. The investment firm believed the $25 billion transaction at $13.75 per share undervalued Dell, but it accidentally voted the stock it held in favor of the deal. The erroneous vote excluded it from a lawsuit it had filed seeking a fair value appraisal. 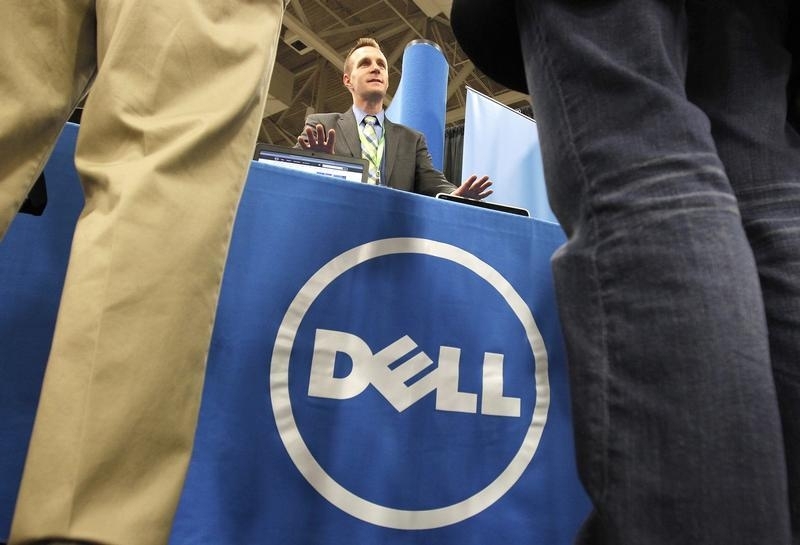 Other investors who voted against the deal and were able to continue the suit last week won compensation from a Delaware judge, who ruled that Dell and his partners underpaid. T. Rowe Price said it expects to record a one-time charge in the second quarter of 2016, which is expected to reduce net income, after tax, by about $118 million.